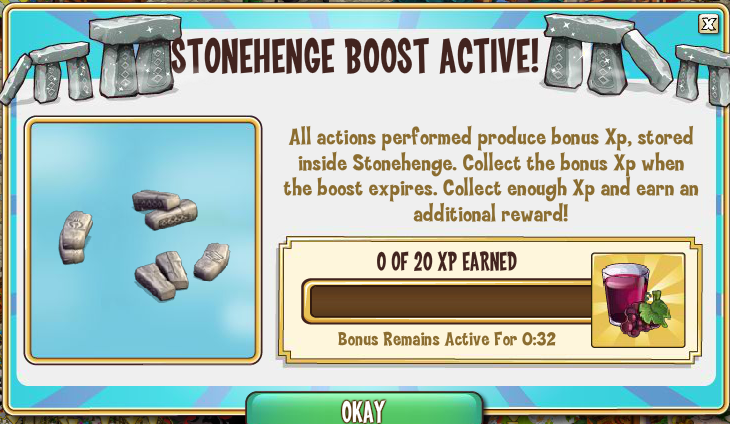 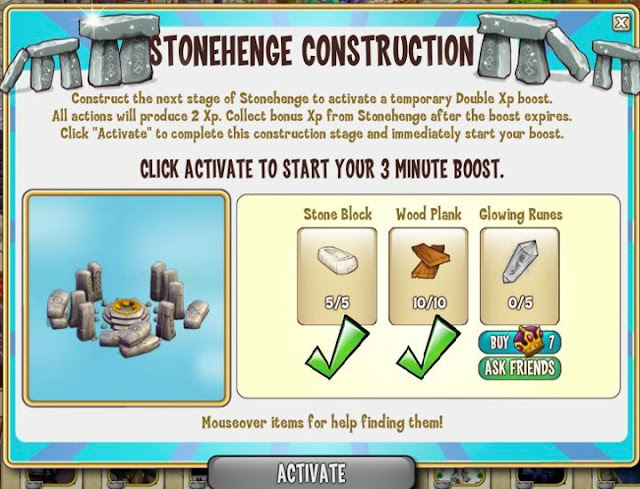 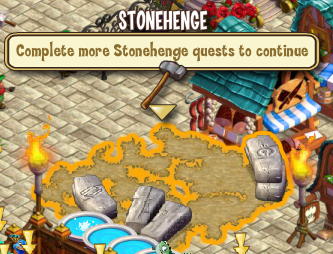 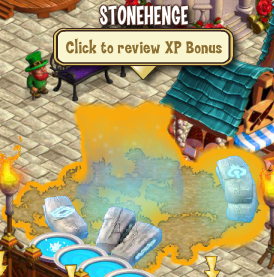 Build Stonehenge to gain a Double XP Boost! Gather some wood to help support this new building. Chop 3 Trees in your Kingdom. Mine 2 Rocks in your Kingdom because the plan calls for a lot of Stones. Feed 3 Cows so they are strong enough to move all those Stones you collect. 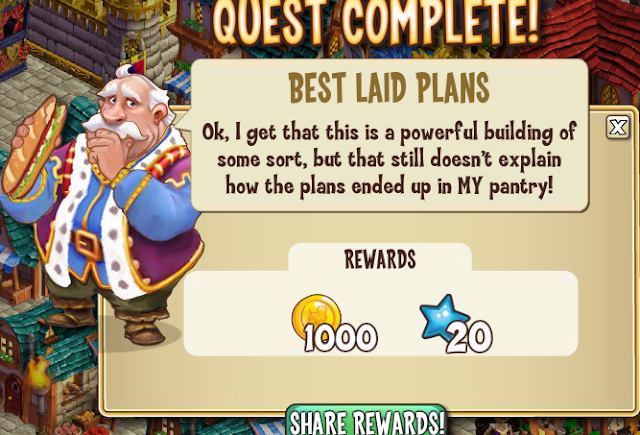 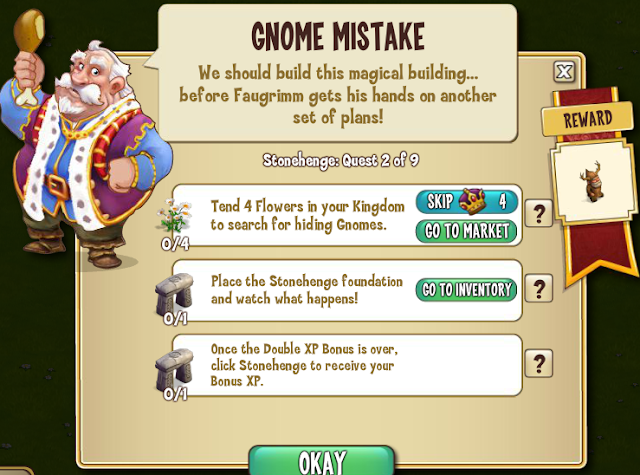 Tend 4 Flowers in your Kingdom to search for hiding Gnomes. 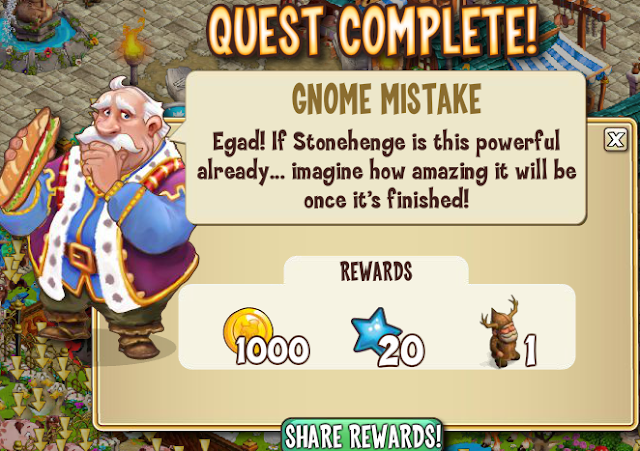 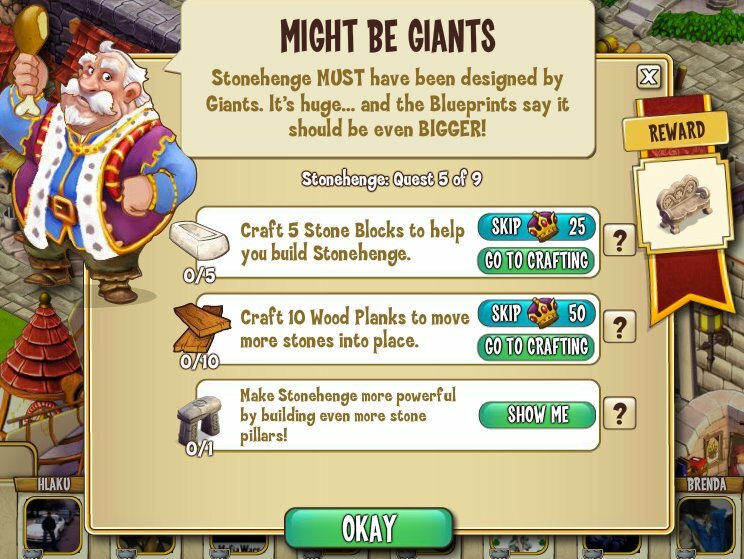 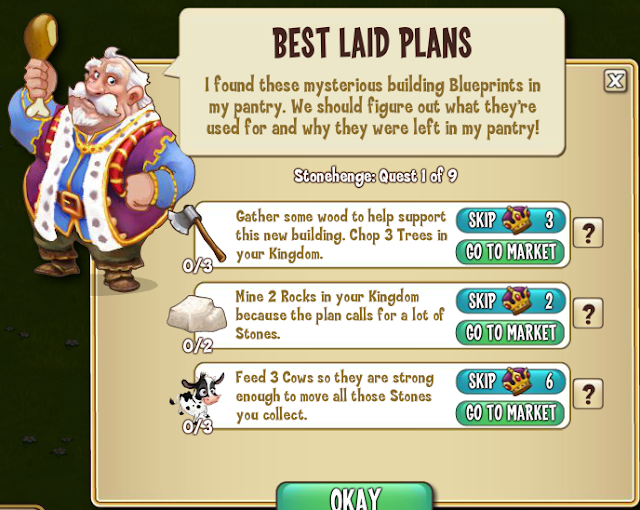 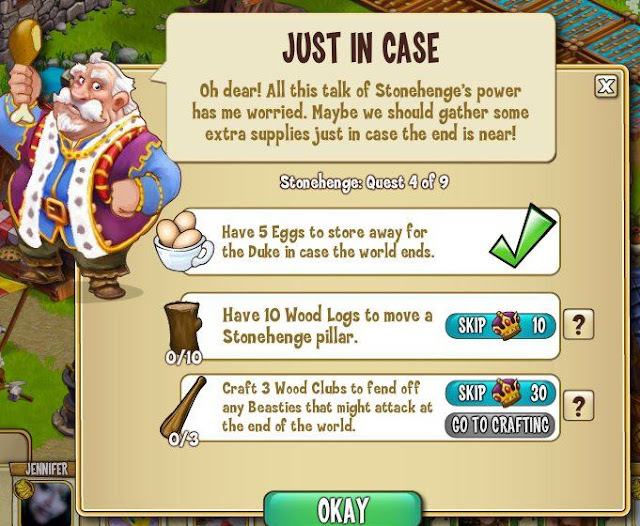 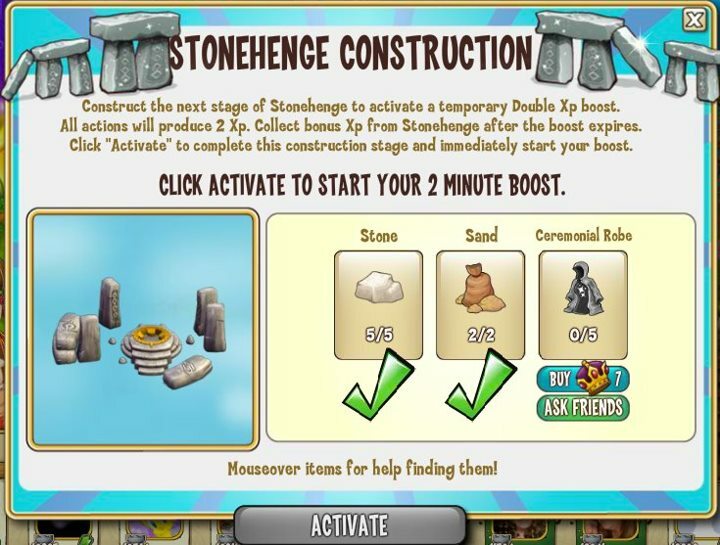 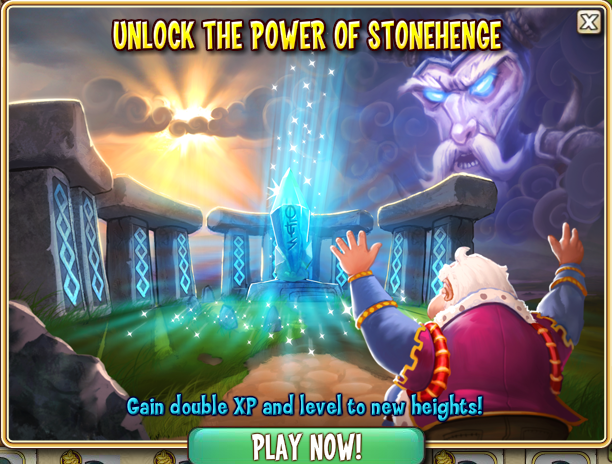 Mine 5 Rocks in your Kingdom to get more Stones to help build Stonehenge. Have 5 Eggs to store away for the Duke in case the world ends. Make Stonehenge more powerful by building even more stone pillars! (Click on Stonehenge to construct the next stage. 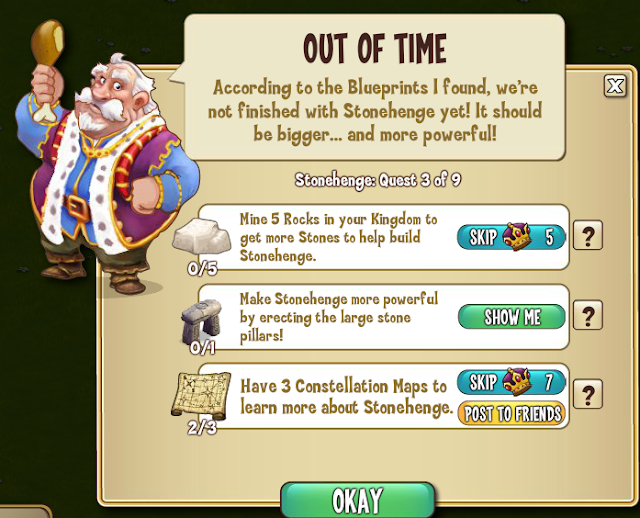 Materials #2: 5 Stone Blocks, 10 Wood Planks, 5 Glowing Runes.